"You might have the 'uman right to hold nutty beliefs but I also have the 'uman right to refuse to be persecuted because of them." You have to go on the BBC to tell a lie which NO ONE in the country will believe, like the Balls Monster's claim that he had no idea what the Broon attack dog D. McBride was up to despite being his bosom buddy . . .
You're worried about your pants busting into flames when you tell this most shameful lie of all time . . . Balls Boomers™ are the pants for you! No matter what, they will NOT ignite or burn! Available from Romiley Personal Requisites, 47 Riverside Drive. Pres. Assad of Syria had graciously admitted that he has chemical weapons, which the world's spies already knew he got from his pals in Russia and China. Now, he would like time to hide some of them before he reveals the details of where and how much. The Association of Cheap Police Officers has realized that New Labour's 24-hour drinking culture and the café-society delusion have been a disaster. Took a few years for this to penetrate thick skulls, though. In response, some genius has come up with the bright idea of putting the legless in a drunk tank and charging them £400/night for the privilege. One small snag: the way the civil service operates, each drunk tank will cost the taxpayer £4.8 MILLION to build and the operating cost will work out at £1,960/customer/night. So that will be even more taxpayers' money poured down the government's drain. The McBride memoirs have confirmed that just about everyone in the Labour party believes that if they can paint rivals as jet-black and dirty, that gives them a licence to be dark grey and as grubby as they like. At least Damien doesn't have as much blood on his hands as A. "Goebbels" Campbell. Eddie-baby Milibandit would have us believe we're in the slowest economic recovery in 100 year. We ask: "Out of how many? Exactly how many times had the Labour party driven the British economy into the dirt in the past?" We would also like to point out that the speed of the recovery is dependent on the size of the hole that idiots like G. Broon, the Balls Monster and E. Milibandit (former Minister for Bogus Green Energy Taxes) dug for us. A Virginia frog got more than it bargained for when it took a dip in a NASA pond. Unfortunately, the "pond" turned out to be a reservoir for some of the water sprayed onto a launching ramp to protect it from rocket exhaust. 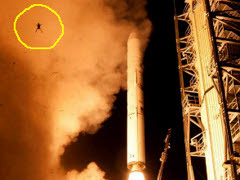 And on launch day for NASA's LADEE vehicle, the frog went along too. The Lunar Atmosphere and Dust Environment Explorer was lofted successfully on a trip to the Moon, which will end with a crash on the surface after 100 days of studying its atmosphere. How high the frog got was not recorded. The Unite union seems to have found a good way out of accusations of vote-rigging in the Falkirk parliamentary constituency. Everyone who complained has suddenly and mysteriously withdrawn their complaint. So the Unite stooges have been reinstated and everything is rosy in the garden again. Stalin would have been very proud of them. What is some caviar commie from Brasil doing, taking a holiday in Britain courtesy of the taxpayer under the pretext of doing some sort of 'uman bluddy rights work on behalf of the UNO? Although much beloved by Britain's leftie luvvies, Brasil is a South American sink-hole, where they don't have 'uman bluddy rights, they don't have welfare benefits and most people live in 'orrible slums. About all they have in abundance are guns and knives, and the will to use them. Which kind of explains why 250,000 Brasilians, most of them illegals, have chosen to live here rather than the caviar commie's people's paradise. Belief in the alien origin of UFOs is falling steadily; down from 52% of the population in 2008 to 39% last year. But the gap has been filled by a rise in the belief in the existence of ghoolies and ghosties; now up to 52% of the population. The BBCee would like to recruit a panel of professional victims, who can make moving statements about government abuses in all social sectors. A great deal of previous experience would be appreciated but full training in the art of whingeing is available. All remuneration will be made on a strictly confidential basis, which will give the BBCee Trust, or its successor, total plausible deniability. How come this garbage is still going on? The management of the Northern General Hospital in Sheffield has instructed nurses to keep a monthly tally of how many thank-you cards and gifts they receive  as if they didn't have anything better to do, like looking after patients. When challenged, a hospital mouthpiece supplemented this outrage with some management garbage-speak. Concern is growing for the sanity of the European Commission president, J. Barroso. He is telling anyone who will listen that if the UK manages to recovery any of the powers ceded to the EU by weak and corrupt politicians in the past, then the whole of Europe will be plunged back into the era of war with trenches that obtained between 1914 and 1918. Barroso is using his delusion as grounds for further grabs of control over EU members domestic affairs. His ambition is to turn Europe into a series of client states controlled from Brussels, along the lines of the failed USSR. The president of the High Court's Family Division, has told Stafford council that it doesn't have the right to stop people complaining when social workers and the police kidnap their children. The council's response was to try some Campbellesque spin to draw attention from the fact that it was the outrageous behaviour of the council's employees which triggered the whole mess. No doubt the people paying Council Tax in that area will appreciate how well their cash is being spent. In case anyone cares, 'Orrible 'Uhne went to gaol for something everyone else was doing (and getting away with) and only as a result of persecution by the meeja. As a fully paid-up member of the Great Global Warming Swindle, he feels entitled to tell as many lies as he wants to on any topic, including such garbage as "family matters to me so much", which he used at the last election despite being on the verge of dumping his missus. And he's also exempt from the rules about ministers taking a private sector job in their own portfolio zone 5 minutes after being evicted from office. Get it right, you blighters! European democracy is to be applied to the issue of bombing Syria. As for EU referendums, Parliament is just going to have to keep on voting until it delivers the right answer. The Labour party has put its Blair shirts on to urge the government to vote again on war with Syria. This is what the bug-eyed Balls wanted the first time around, but the Milibandits hoped to make themselves look good by voting against war. Unluckily for them, enough Tories and Liberals ignored their whips to upset Labour's dastardly scheme. The CWU seems to have adopted one of the favourite tricks of the election fraudster in support of its campaign against the sell-off of the Royal Mail. MPs are being bombarded with postcards which use the name and address of a dead person. The big giveaway is that the cards are unstamped but they manage to be delivered without incurring a surcharge. The United Nation Organization has so little to do in this perfect world, with peace reigning everywhere, that it has to send its flunkeys out on time-filling junkets to justify their employment. Thus a Brazilian jobsworth with a long, leftie-luvvie agenda is coming here to "investigate" the 'Uman bluddy Rights implications of reducing the benefits of claimants with excess bedrooms. There is no UN solution to Syria, but . . .
Assad is Russia's Saddam Hussein, only he's not as good at the job of being a ruthless dictator. Getting rid of him would leave gangs of equally despicable sociopaths squabbling over the remains. The only pragmatic solution would seem to be to leave Assad in place as a figurehead and force the Russians and Chinese to send enough troops into their client nation to disarm ALL of the locals, keep the peace and allow UN inspectors to go anywhere they choose in perfect safety. And make the individual members of the Putinocracy, the Chinese politburo and the puppet regime personally financially responsible for all disorder. If the attack that Pres. O'Bummer wants to launch against Syria will be as unbelievably small as US Sec. of State J. Kerry would have us believe, why bother? Unless, of course, he has shares in a factory that makes cruise missles. "The British police 'service' has become a criminal conspiracy, which persecutes citizens for committing imaginary crimes in the name of liberty." Will whoever granted the building planning permission be arrested for misconduct in office? "Thank you for your input, here's your crime number, now bugger off and don't bother us any more." 40-75% of reported crimes are never investigated because the police either think the case will be too hard to solve or it doesn't tick enough boxes  hate-crime being the biggest box, influence-wise. The figure for ignored crimes is 60% for Greater Manchester, which includes Romiley. New Labour's crimes against British humanity have putting the Coalition in a tough spot. The previous gang of bunglers ignored warnings that an open-door policy on immigration would swamp our schools, and it even told councils to close down schools with surplus places. So that's a big thank-you due to Tony B. "education, education, education" Liar. And another for the Balls Monster, who ordered the closures. Strange that the Coalition seems to have been surprised by all this. Are the staff at the Education Department also asleep at the wheel? Greater Manchester Police tops the local list of hysterical coppers brandishing tasers at the general public. The EU's auditors have refused to endorse the dodgy accounts for the 18th year in succession. But instead of doing anything to stem the tide of corruption and fraud, the EU's figurehead, H. Rumpy Pumpy, has ordered the Court of Auditors to stop criticising the EU shambles for PR reasons. Apparently, if the truth makes the EU look bad then the truth has to vanish rather than the EU get better. Britain's major contribution to cleaning up the EU came during the New Labour era, when failed British politician made troughist Commissioner N. Kinnock sacked the only woman in the EU who was trying to fight corruption. "Serious, but not as we know it, Jum." The Serious Fraud Office is claiming that it lost 32,000 documents, 81 audio tapes and sundry bits of electronic media by "accidentally putting them in the post". Incredible? It sure is. The documents have now turned up in a self-storage warehouse in London's Dockland. The SFO, which collects £31 million from the taxpayer for a year's blunders and huge, secret payoffs to its bosses, has admitted wasting £10,000 on finding 98% of the missing stuff. No doubt the mouthpiece will claim the other 2% was lost in the post. The Metropolitan police have wasted a TON of public money on an incident involving the stroppy Tory former chief whip and a pair of bolshy coppers. They tried to fit him up for calling them plebs but their frame dropped apart immediately. One year on, the geniuses running Operation Alice In Wonderland propose interviewing all 800 members of the diplomatic protection group, and at least another year of messing about is on the cards. At the current rate, this pantomime will drag on for longer than the discredited Hutton inquiry into Tony B. Liar's illegal invasion of Iraq and end up costing more than the H2S rail link. But, no doubt, those involved are in line for huge bonuses in due course. The EU has its hand out again. It wants £3,500,000,000 more. One way to reduce the demand would be to order the Eurocrats to stop spending £2,400,000,000/year on self-promoting advertising and £150,000,000/year of jaunts to Strasbourg to massage the French ego. The "foolish stunt" Portas Plan for reviving British high streets, which promised the Earth and delivered nothing much, is getting lots of stick in a report which forecasts that 50% of high street shops are likely to go out of business in the next decade. Is junk mail such a bad thing? A spokesperson for the Local Government Co-operative has defended the policy adopted by many local councils of selling copies of their electoral register to mail spammers. "It generates revenue for councils and it creates employment," she declared. "Not only in the direct mailing businesses, but also in the printing and recycling sectors. Throwing away the odd bit of junk mail is a small price to pay for a major contribution to the nation's prosperity." Why did Fred the Shred let the RBS go down the tubes? Because he was too busy with more important things to be bothered about banking business, a former colleague has revealed. The more important concerns included: banning the use of sticky tape in public areas of banks, designing the company Xmas card, making sure every car in a fleet of new ones was exactly the right shade of blue (one matching the company logo), making sure that the carpets in the cars matched the bank's beige office carpets, replacing flat-topped filing cabinets with cabinets with a dome-shaped top to prevent people from putting things on them, getting the right type of biscuit served at meetings, disciplining the catering staff if they served the wrong sort of biscuit, obsessing about cleanliness and ensuring that cash machines didn't look messy, ignoring warnings from whistleblowers that the bank was about to go bust and drinking phenomenal amounts of beer and whisky. He was awarded a knighthood for services to banking by New Labour. The fact that J. Purnell, former New Labour minister and now a BBC mandarin, gave G. Smith, Tony B. Liar's former mouthpiece, a £100K job is not proof that the BBC remains the Blair Broadcasting Company and a retirement home for New Labour luvvies, the BBC's mouthpiece would have us believe. Like G. Smith, Purnell was just handed his £300K job without the chore of considering other candidates. The total of expenses claimed by MPs has risen by an inflation-destroying 7% in the last year. This is after our prime monster gave us his personal promise that he would cut the cost of politics. Well, we all know how good Dave is at keeping his promises. Dopey Dave 'n' Calamity Clegg put up cost of living . . .
. . . by putting a 5p bogus planet-saving tax on the plastic bags handed out in supermarkets. p.s. The latest is that the supermarkets might even be able to keep the bag tax! The price of British Gas went up by 40% over the last 5 years  to fund a 40% pay rise over the same period for the boss of Centrica, the parent company? According to an over-excited Daily Disaster sub-editor, this month is starting with an Indian summer. Not UP NORTH it isn't. Grey skies, windy and bloody cold  that's how September kicked off in Romiley. Seeing the big picture? Joke! Not so long ago, local councils were closing schools and Stockport council was trying to flog off Romiley school's prime site to it's brother-in-law. [But parent-power and a revolt by the natives stopped the plan in its tracks. Ed.] Now, thanks to New Labour's open-door policy on immigration, kids are being crammed into already overcrowded school buildings and shoe-horned into temporary classrooms parked in every available bit of space. And it's all a huge surprise to the educationalists, none of whom saw it coming. The government is still telling us that the country is broke, even though the British public spent a collective 8,000 years enjoying the tedium of being on hold on the government's premium-rate phone lines last year. No wonder no one would believe a politician if he/she told the sceptic that it was raining and he/she was getting wet. How genuine is the Balls-Monster's admission that the economy is starting to recover from the catastrophe inflicted on it by E. Balls-Up and Wee Gordie Broon? Close study of the video clip has led BFN's expert to conclude that the BM appears to be under general anaesthetic with his eyes propped open, the mouth movements are CGI effects and the words were spoken by an actor. All of which give the BM deniability when he eventually claims that he never made the admission. The world is getting back to normal. There are a few green shoots of recovery peeping out of the ground and the fatcat bosses of the trade unions are heaving on new pairs of designer strike-boots. Sounds like Prince Andrew is lucky to be alive! Two days after a couple of uninvited guest kicked their way into Buck House, it seems that Airmiles Andy was confronted by 2 armed coppers, who had been asleep during the who's who briefing. Their reaction was to scream at him and order him to lie down. Luckily for Andrew, there was no hysterical discharge of a weapon that needed whitewashing. The August grotesque knee spotter was Mr. C.E. Wydey of Romiley. We hope he enjoys his prize. The knees belong to G. Paltrow, an actress who would be well qualified to play Hotlips if they ever remake the TV series of M*A*S*H.
The nation greeted this month's revelation that the "experts" at the Met Office predicted a cool and wet summer in 2013 with a mighty yawn. But it looks like anyone who paid for a copy of the long-term contingency plan back in May is entitled to ask for his money back, given that the country sweltered through the hottest and sunniest summer for seven years. Which is now well and truly over, despite the optimism of the Indian summer brigade. Archaeologists in cold countries like Norway have suddenly become cheerleaders for Global Warming. Retreating ice and snow has made Iron Age sites more accessible and given them new insights into life in the early part of the 20th century. Very rare, carbon-dateable garments are among the new finds in this archaeological frontier. GW Swindlers are now worried that a big chunk of their budget might be diverted to the location and conservation of rot-prone biological specimens. Met Office staff have been paid £1 MILLION of taxpayers' money in bonuses for doing their job  i.e. forecasting the weather. Global Warming Swindlers in the EU and the US are trying to rewrite a UN report about the lack of global warming over the last 15 years to suppress the failure of the GW Alarmists to explain what is going on outside their dodgy computer programs, which show that the Earth will be wiped out in a couple of decades. A school in Cumbria was persuaded to join the self-congratulatory green movement and install an eco-roof using turf as the insulating material. Unfortunately, lots of horrible bugs bred in the turf, penetrated the school building and started biting the kids. So the school is now closed whilst the bugs are exterminated. In 2007, the Global Warming Swindlers assured us that the Arctic would be free of sea-ice by this year's autumnal equinox In fact, the equinox came and went this month, and the extent of the polar sea ice is at the average for the last 34 years. National governments continue to pile on bogus "green" taxes and make fraudulent claims about being able to change the climate  without bothering to ask their taxpayers if they want the climate changed, should it be possible. Following heroic (in self-interest rather than scientific terms) but unsuccessful attempts by some national governments (e.g. the Germans and the Yanks) to exclude the lack of global warming since 1998, the UN's Intergovernmental Panel on Climate Change has published its latest dodgy dossier. Cambridgeshire country council set a world record for stupidity earlier this year with a stretch of double yellow lines just 13" long. Westminster council has entered the fray with a set of double lines a tiny 9" long. What can Stockport council manage to come up with in reply? Raquel Roinit, the UN's self-appointed advisor to Britain's benefits system. Train operators received "compensation" of £163 MILLION from taxpayer-funded Network Rail for delays last year. Only a lousy £11,000,000 went to delayed passenger, and it was coughed up very grudgingly. No undeserved Network Rail bonuses were harmed in the application of this policy. Police officers in Qena, 280 miles south-east of Cairo, arrested a stork for spying when they spotted gadget attached to it. The device turned out to be a tracker used by a group of French scientists to follow migrating birds, and the stork was released without charge. The Aussies have booted Labour into touch in their general election. There's a lot of it about. Australia's new PM, T. Abbot, will get tough on immigration, cut foreign aid and abolish bogus green taxes on carbon dioxide. Could we have one like that, please? Tony B. Liar and his natterings about the need to start bombing Syria without delay. G. Osborne, the current Chancellor, who thinks the disaster area H2S rail link will heal the North-South Divide. The architect of the Walkie-Talkie Tower in London, the firm building it and the geniuses who gave them planning permission. The BBC, which has failed miserably in its attempts to hide from the public, excessive severance payments to executives. "It's only licence-payers' money". Lord Patten, the BBC's fatcat chairman, who keeps doing U-turns on what he knew about the luvvie deals. A. Levitt of the office of the DPP for England, who wasted a ton of public money on persecuting actor M. Le Veil. E. Milibandit, for talking tough on taking power away from the unions, which got him the gig in the first place, and then doing the usual U-turn when the going got tough. The government ministers and members of the secret police who hid evidence of child molesting by C. Smith, the late Liberal (extremely) councillor and MP for Rochdale. Rydale District Council, which wasted C-taxpayers' cash on fancy electronic voting machines, which some councillors proved too dim to use, instead of sticking to much cheaper alternatives, like voting slips or even a show of hands. The RSPCA, which is in danger of going extinct as donors refuse to back its politically motivated persecution campaigns. Bets are being taken on soon the charitable status will be cancelled for what has become a left-wing lobbying firm. Birmingham Metropolitan College, which has dropped a ban on face masks after being got at by Islamistas. South Central Ambulance Services, which sacked a driver for going the wrong way (in complete safety) around a bollard on an emergency call in an unfamiliar area and exceeding the wrong speed limit on his SatNav by 3 mph. That woman whose name is too long to go on a Hawaiian driving licence. Vince Cable, who did a "Nurse, he's out of bed again!" speech at the Liberal conference to get himself noticed. The Arts & Humanities Council, which blew £2 MILLION of taxpayers' cash on a 3-year study of "Cultural & Scientific Perceptions of Human-Chicken Interactions". The judge who ordered a 20-second silence during the inquest on a dead gangster. Which suggests that he wasn't worth the full minute. And he definitely wouldn't even have got the 20 seconds if he'd been white. D. McBride joins the contest to be the Joseph Goebbels of New Labour. The Mandelsleaze & A. Campbell are reported to be furious that their chance of success has been diluted so poisonously. Do you want to pay £150/MW-hour for electricity? Or would you rather pay £20/MW-hour? to set the record straight in the 3rd millennium. 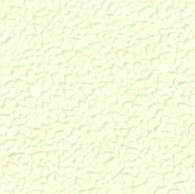 © RAL, September MM13.